There is nothing more important than working for a peaceful world that supports everyone. Help us shift the global narrative from separation to one that celebrates the uniqueness of every individual across all religions, cultures and borders. With every gift, be it large or small, we move closer to finding solutions to the most difficult challenges facing the world today. Become a Peacemaker. Invest in peace today. On your first visit to AmazonSmile www.smile.amazon.com you are prompted to select a charitable organization from our list of eligible organizations. Please choose The McCollum Foundation for Peace. From your desktop, go to Your Account from the navigation at the top of any page and choose Your AmazonSmile, then select Change Charity Immediately below Your Current Charity. From your mobile browser go to the menu and choose Your AmazonSmile, then select Change Charity. Select The McCollum Foundation for Peace. More and more people suffer from health challenges related to diet: poor digestion, low energy, depression, aches, pains, sleep issues and much more. Purium is one of the most trusted natural, organic and gluten free superfood solutions available on the planet. 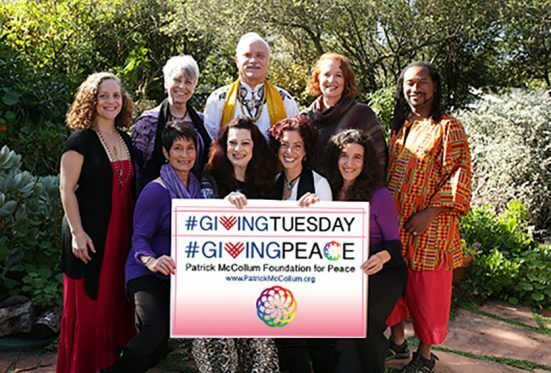 Start your personal health movement and give back to the Patrick McCollum Foundation for Peace at the same time! Use our Gift Card Code WORLDPEACE and save $50 or 25% (whichever is greater) on your first purchase at www.ishopPurium.com. After your first purchase, you will save up to 25% on future purchases as Loyal Customers. Purium will donate 20% of the price of all purchases back to the Patrick McCollum Foundation for Peace. Share our Gift Card Code with friends and family and help them step into health and contribute to creating WORLDPEACE! PMFP will earn 20% of these purchases as well!